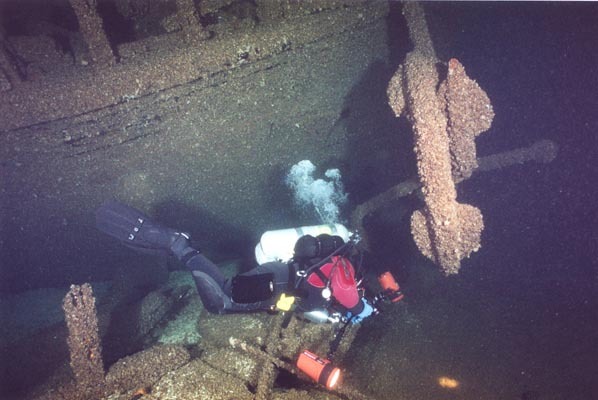 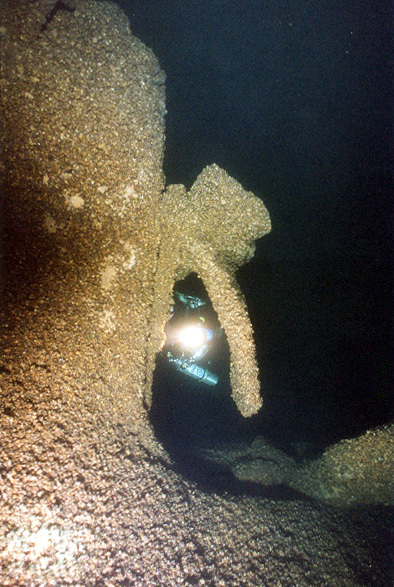 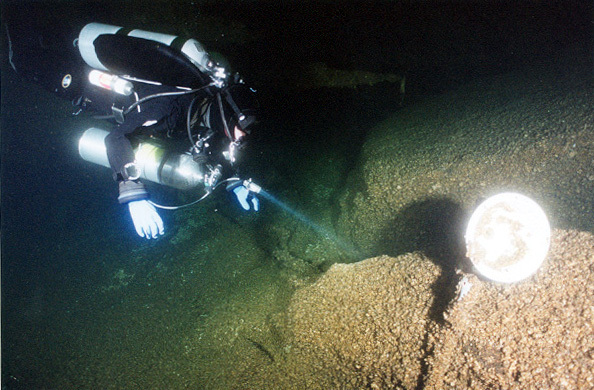 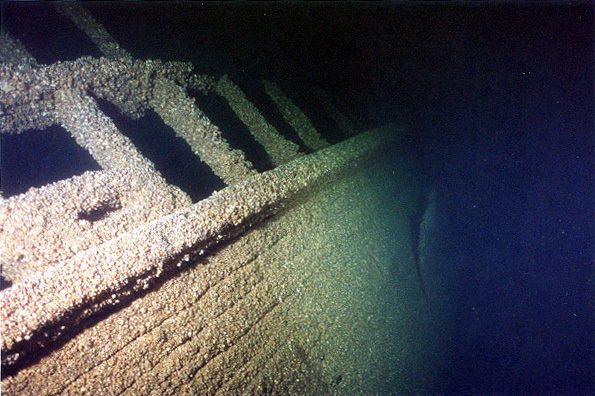 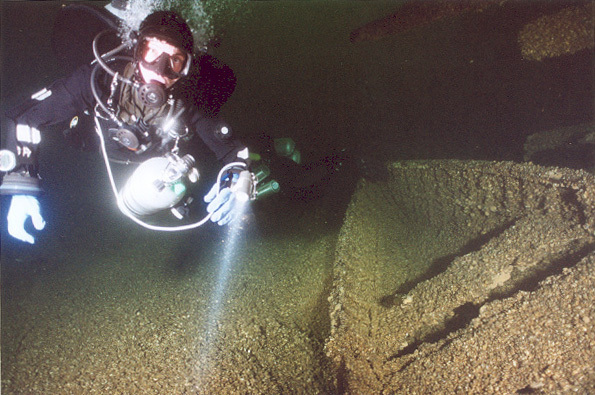 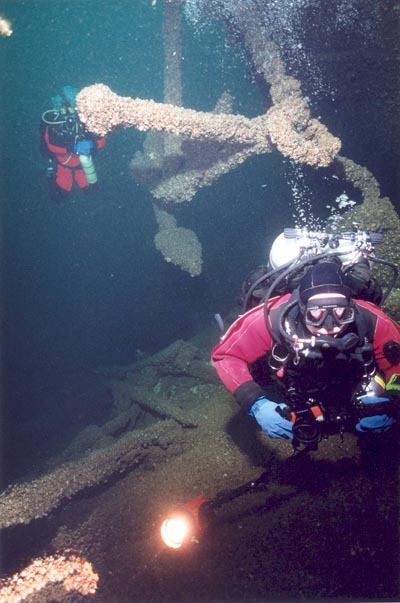 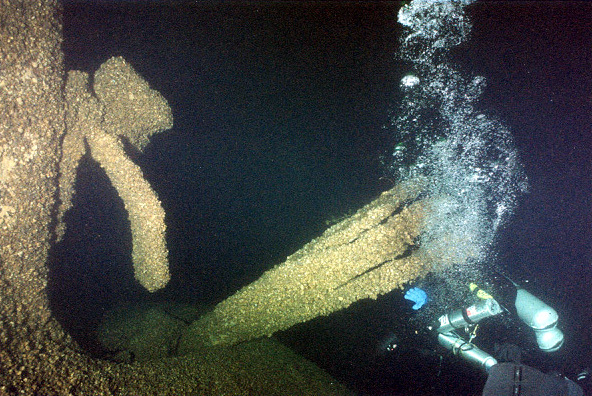 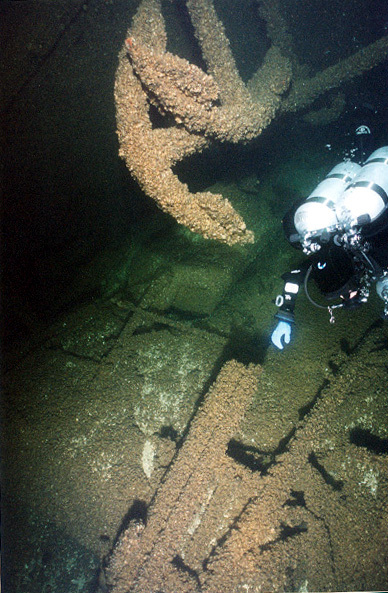 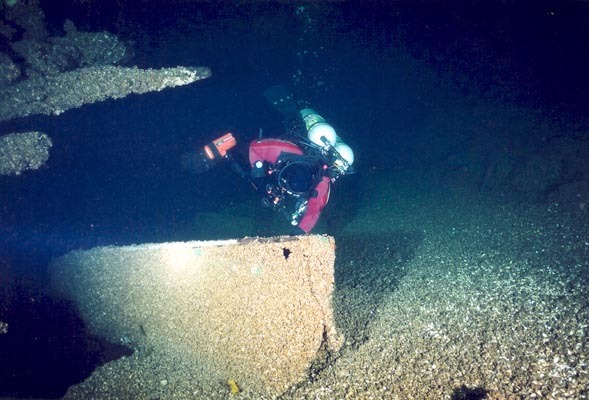 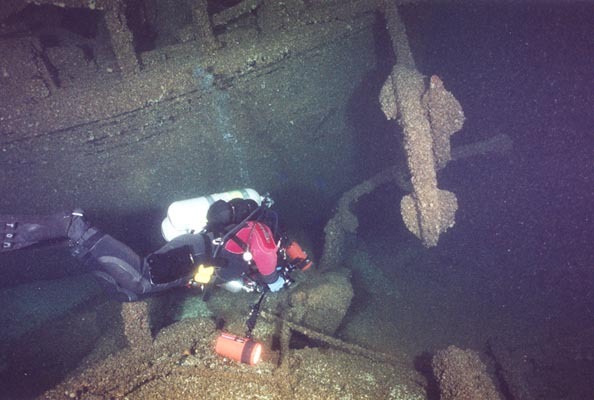 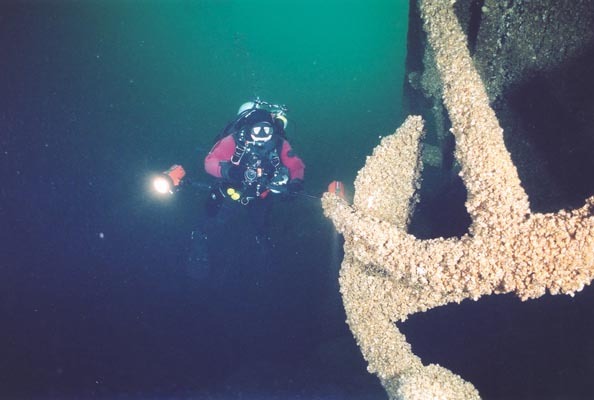 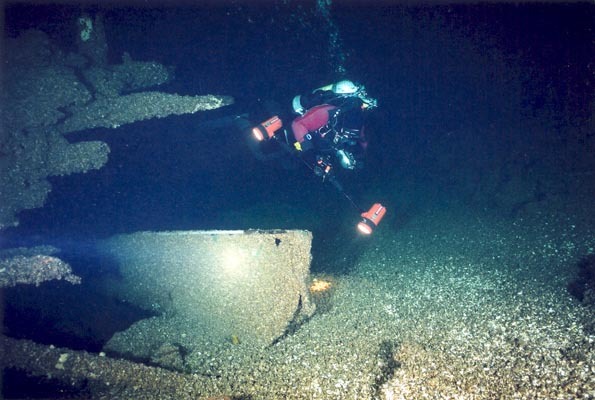 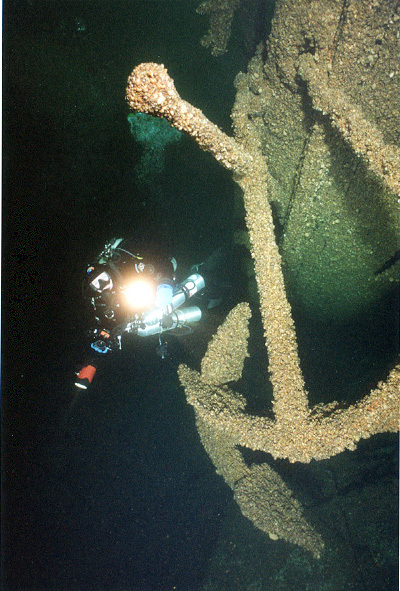 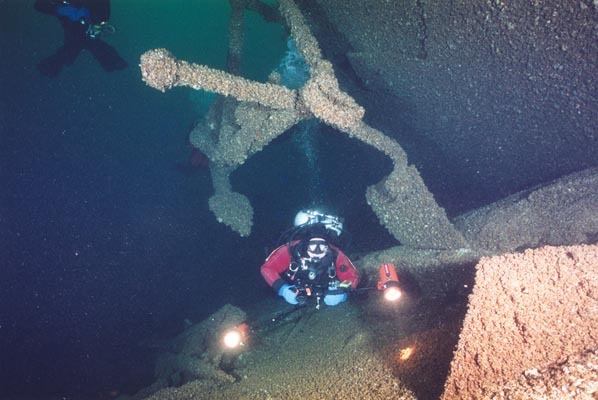 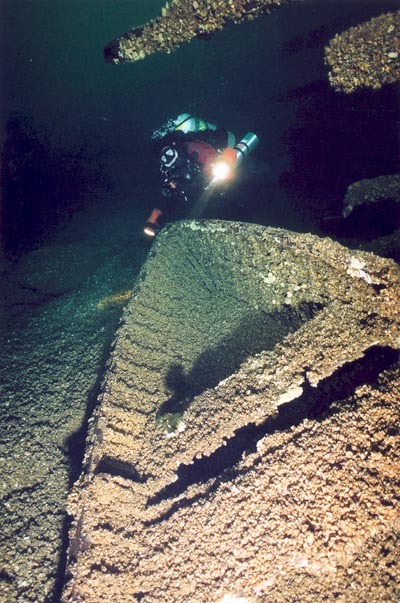 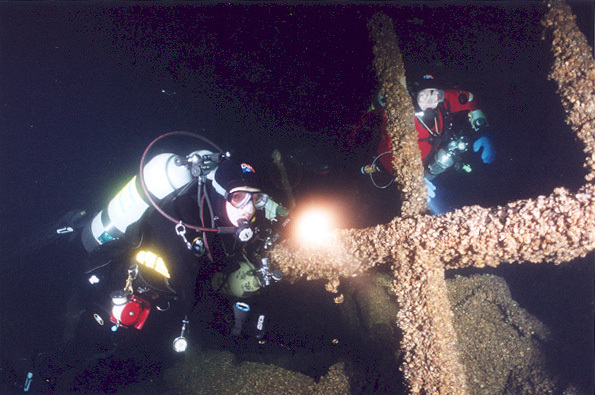 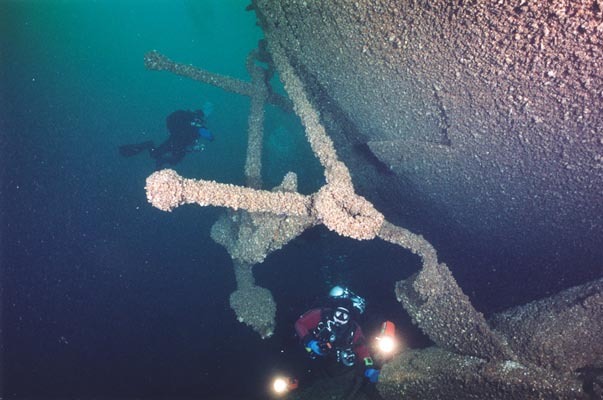 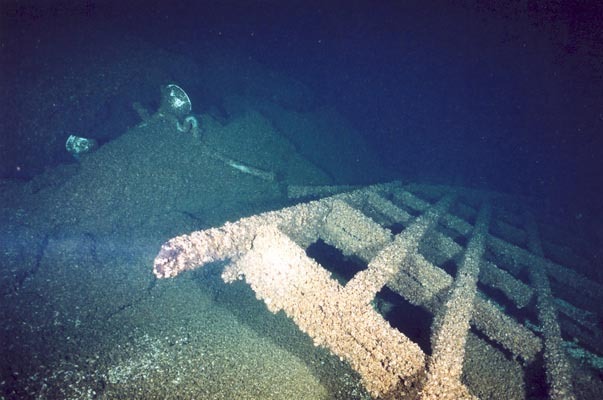 Located in between 140 and 185+ ft of water, right in the St. Lawrence shipping channel, Oconto is most definitely a technical dive. 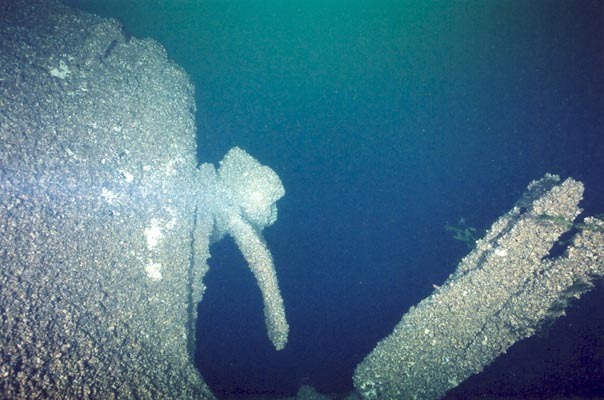 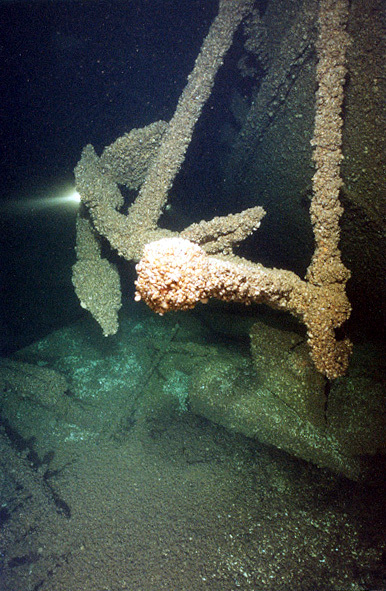 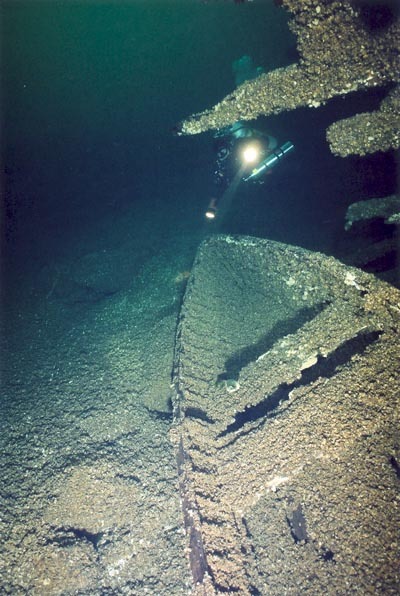 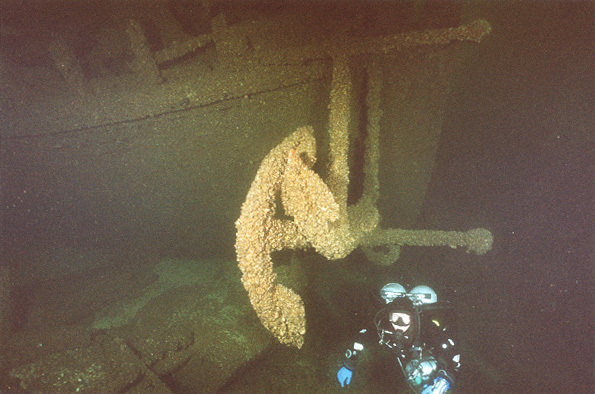 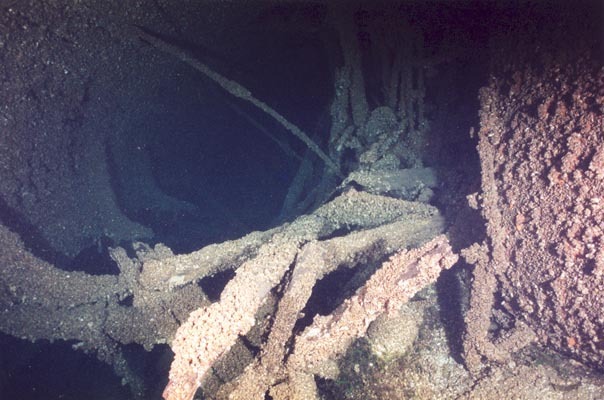 The highlights include the twisted anchors at the bow, stuck together at a very interesting angle; the remainder of the prop (only one blade left); some kind of little boat amidships (likely not part of the original ship) and limited penetration opportunities in the stern part. 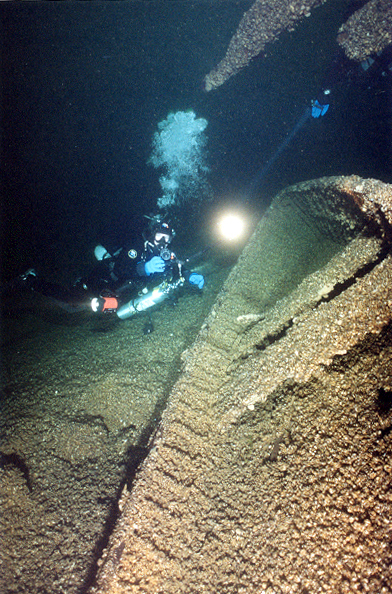 Zebra mussels abound. 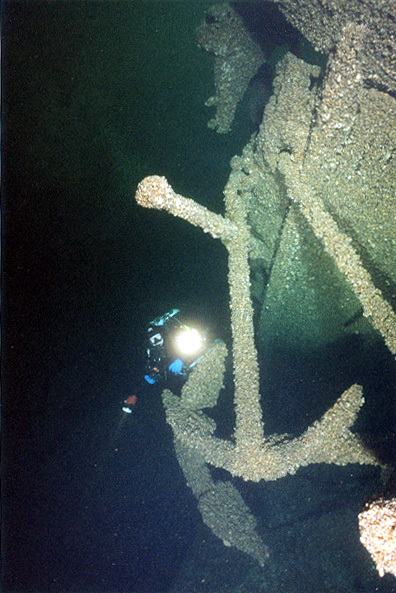 Getting to the wreck in the current is not easy, but once on it, the angle of the wreck provides lots of opportunities hide from the current. 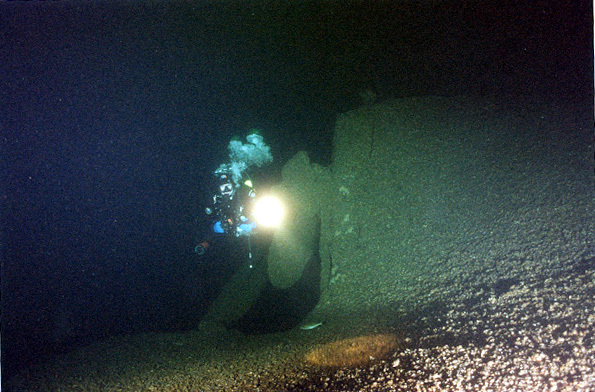 The wreck it typically very dark. 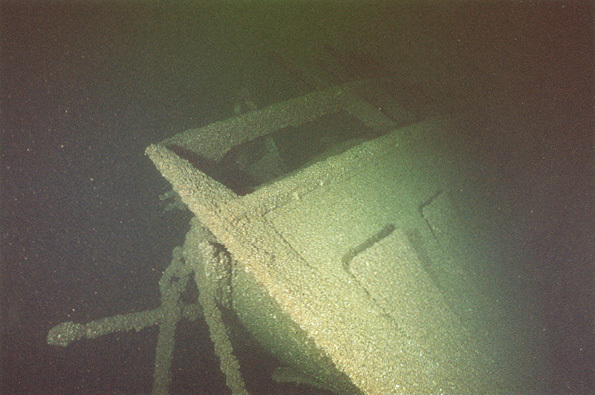 One of my favorites in the river. 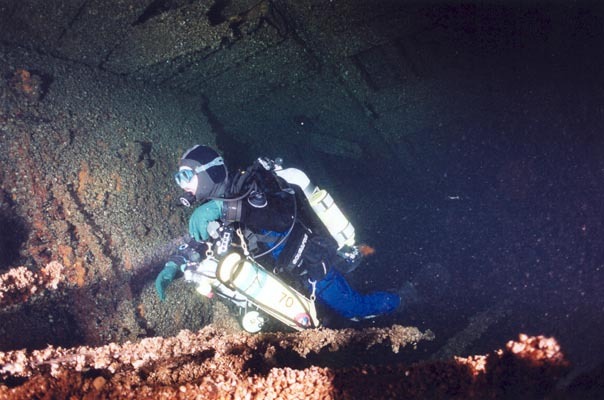 The hazards include the current in the channel that varies from mild to ripping your mask off; the absence of lines leading to the wreck and the weird positioning of the wreck (in three parts, stern upside down, bow upright). 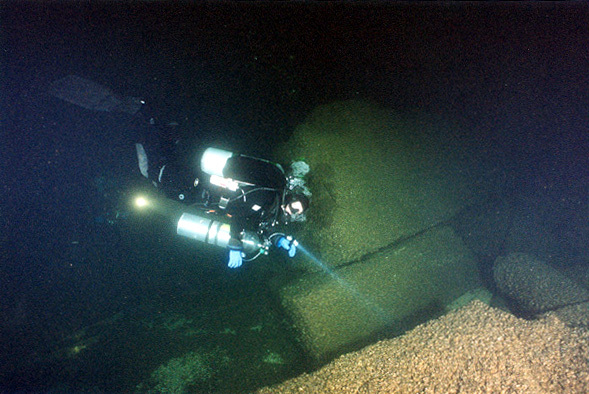 The boat usually ties off just outside of the channel marker - the wreck is located almost at the same level as the market and starts at about 140 ft. Getting down to the wreck involves either swiming very hard against the current or grabbing the rocks or a combinaiton of both - if you are using dry gloves, bring your old pair - they going to be ruined anyways. 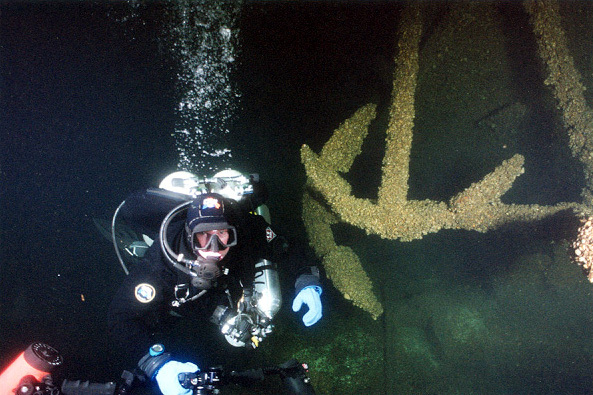 Going up from the wreck to the marker, try hiding behind larger rocks and outcroppings and use eddies in the current to keep stationary while doing your deco.